Inflammation and immunity are biological processes associated to responses of the organism against tissue damage and/or infection. Despite their fundamental role in protecting the organism from dangerous microbes or local tissue disorders, aberrant manifestation like failure of immunological tolerance or similar defense mechanisms is often linked to acute or chronic clinical disorders of different nature. Activities in our research group cover some areas within this large group of human diseases. We work with clinical case-control studies in addition to utilize experimental approaches ranging from in vitro functional and molecular assays, in vivo pre-clinical animal experimentation to in situ human samples. The group is keen on using physiologically relevant experimental models such as 3D culture models, patient-derived cell cultures and patient-derived xenografts in animals. The MIRG-IKM laboratory provides an inspiring and international working environment with other senior researchers, graduate students and technicians. The laboratory is part of a larger inflammation research community across institutes that comprises 3 professors, 3 senior scientists, 4 PhD students, 3 Master students and 3 technicians. Within MIRG expertise exists in many areas related to clinical, epidemiological and basic science. This includes primary tissue cultures, cell-based in vitro functional assays, histology and immunohistochemistry, gene expression analyses, biochemical protocols, pre-clinical animal experimentation and clinical epidemiology and radiation oncology. We also have good competence within serology, flow cytometry, proteomics, genomics, bioimaging, and 3D tissue engineering. Our team thus integrates scientists and clinicians with a broad spectrum of knowledge and skills. The MIRG has good accessibility to human tissue specimens from scheduled surgical operations at our local hospital, the University Hospital of Northern-Norway (UNN). For multicenter clinical studies, all hospitals have available clinical data from the patient records. All our studies are approved by the National Data Inspection Board, the Regional Committee for Research Ethics, the National Cause of Death Registry, the Biobank Board and the Personal Information Protection Authority at UNN. The research group is equipped with most of the laboratory requirements needed to carry out basic and clinical studies, offered by both the University and UNN. A wide repertoire of experimental protocols is already established in our group, being state-of-the-art and well-functioning in our own and collaborating laboratories (see next chapter). Besides, the group is incessantly developing new laboratory methods applicable on archive human material, blood, primary cell cultures and cell lines. Our group is also a frequent user of the many service facility platforms available at UiT. The FUGE-N technology platforms (proteomic, genomic, bioimaging and pre-clinical animal imaging) are important parts of the UiT/UNN’s infrastructure. 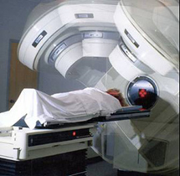 Radiotherapy represent a fundamental tool in the management of cancer. The field is nowadays experiencing a great revolution thanks to the gradual implementation of new dose regimens in patients that were not achievable in the past. 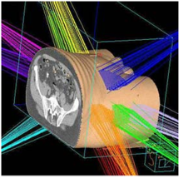 Despite the initial hype created around this new therapeutic alternative, knowledge is lacking on the biological responses resulting from the application of high (or ablative) radiation doses (SART) to tumors. Such knowledge is necessary to predict (or avoid) the rate of later relapses and metastatic spread. Our group aims at increasing the general understanding on responses to irradiation in tumor-associated cells. Joint conditions associated with chronic inflammation and progressive cartilage degeneration, such as osteoarthritis, are considered one of the biggest challenges in the field of medicine. Our group believes that clinical treatments in such cases should move towards biological reconstruction instead of artificial replacements, and to curative instead of palliative treatments. Huge amounts of endeavors world over are focusing on using “patient-own” cells and fluids to attempt tissue healing. The field is still mostly progressing on the basis of empirical attempts (trial-error), and thus there is still a clear lack of solid basic knowledge in this area to support measurable improvements. Our efforts integrate basic and clinical science, and represent a clear model of translational research. Considerable and steady resources are necessary to maintain the disease registries within rheumatologic diseases, and a biological rheumatologic biobank that includes human biological material from patients are continually expanded.